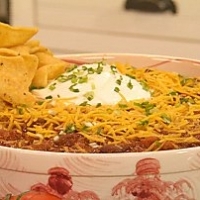 This is Paula Deen's sons recipe, I have to say he's a good cook also, this is a favorite chili recipe of my families. 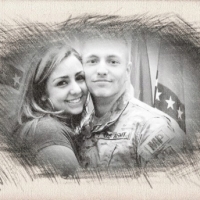 My husband is always asking me to make this one. Brown ground beef in skillet and drain. Set aside. Spray large pot with nonstick cooking spray and heat over medium heat. Add the onion, green pepper, diced tomatoes, and whole tomatoes. Add cumin and chili powder, to taste, and cook for about 8 minutes or until vegetables are tender. Add the beans, the ground beef, chili seasoning and chopped celery. Let simmer and slow cook for 4 hours. Serve with Cheddar cheese, sour cream, and green onion as garnishes. So glad you added this! It's so good! I have it cooking on the stove right now. I saw them make this on tv too! She was having a cooking contest with her sons! Oh my gosh! I saw them making it on t.v. and was wishing I had the recipe. Thanks Henrie for posting it. Have added this one to my list to try.